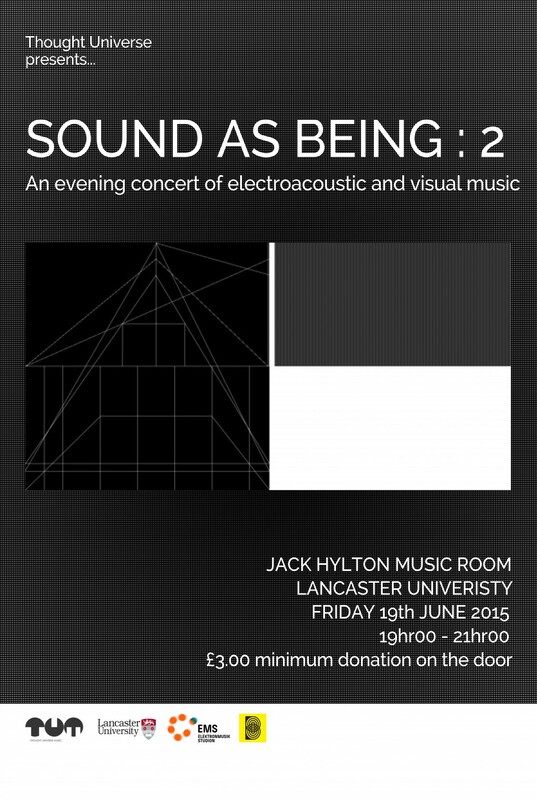 Thought Universe presents Sound as Being 2 - An Evening Concert of Electroacoustic and Visual Music. Experience a diverse range of pieces that reflect the myriad of multidisciplinary approaches at the forefront of EA music. Consisting of multi-channel, audio-visual and a live electronic performance, of which, there are five world premieres and two UK premieres. Each piece has been carefully selected to inspire, simulate and encourage a critical discourse in the dynamic world of EA music. The Sound as Being events provide a platform for emerging and established composers to engage new audiences in electroacoustic music. Tickets are available at the door only, with a minimum £3 donation.